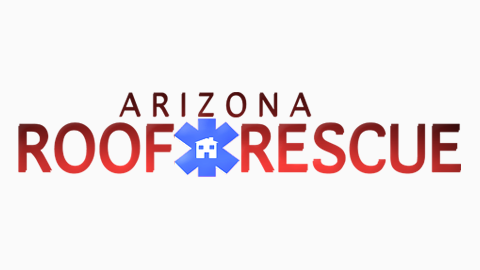 Arizona Roof Rescue knows how important it is to understand and choose the right options when dealing with a new roof installation in Avondale. Choosing between an energy efficient roof and a cool roof means knowing what you are getting yourself into as a homeowner and weighing your options to ultimately decide whether a cool roof or an energy efficient roof is best for your home. 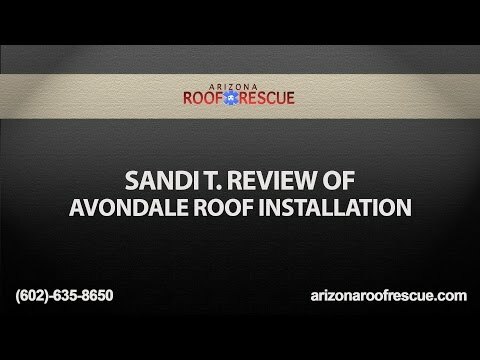 As your Avondale roofing company we are happy to help you understand and choose the best roof for your home. With so much to choose from it can be overwhelming to take it all into consideration. From metal roofs to shingles, energy efficient roofs to cool roofs, it takes time and effort to understand what is best suited for your situation. Each with advantages and disadvantages depending on climate, location, costs and other factors, your Arizona roofing company wants to ensure you know the facts when making such a decision. Cool roofs work by reflecting the heat created by sunlight back into the atmosphere. By preventing your home from absorbing this heat, it keeps your home cool during the summer months in Arizona. On the other hand, energy efficient roofs work to absorb the heat before it’s able to change the internal temperature of the building. Both options serve a similar function but in different ways depending on what best suits the particular building’s needs. The way energy efficient roofs absorb the heat before it reaches the interior of the buildings means energy efficiency at its finest. Using this sort of technology for your energy efficient roof system means an extended life of your home. Cool roofs are composed of materials that act as reflectors of sunlight and heat. Utilizing special coatings, Avondale roof shingles, temperature-control roof tiles in Avondale and light paint colors these cool roofs give homeowners and roofing companies one of the best options for temperature controlled roofs. Both energy efficient and cool roofing options help to diminish the “island effect” in cities and other highly populated areas. In some locations the “island effect” (places in cities in which the buildings are large enough to alter the air-flow and therefore prevent a normal amount of heat loss, trapping the heat within concrete structures and roadways) can cause temperature increases of up to 70 degrees (in extreme cases) hotter than the normal, outside temperature. New roof installations of energy efficient or cool roofs can help to roofs help to alleviate these rising temperatures and aid in stopping the “island effect” in cities and towns. Not only does having your Arizona home or building equipped with an energy efficient or cool roof mean lower temperatures, but they are more aesthetically pleasing as well. Your energy bill will reflect lower costs and you can rest easy knowing that your carbon footprint will be much less significant. A cool roof installed on a building or home means reduced emissions and lower electricity demands. Have you ever noticed that in the hotter parts of the country, especially like our very own city of Phoenix, that roofs often get a white coat of paint? This concept inspired roofing companies to come up with alternatives to the heat-keeping roofs and create energy efficient and cool roofs for homeowners and building owners safety, preference and comfort. Among the best advantages is the cost efficiency and energy savings of a cool roof or energy efficient roof. It’s common that homeowners and building owners believe that cool roofs are more expensive to install than other non-cool roofs, but homeowners typically see the most savings in such climates. Of course in any situation it’s best to allow your go-to roofing company in Avondale to evaluate all the advantages before committing to any new roof installation. Often there are city, state or federal incentives such as grants that help homeowners update their roofs to cool roofs or energy efficient roofs. To help in your decision between an energy efficient or cool roof could be climate, and more importantly, the amount of rainfall (or snow melt) the roof will be susceptible to. In our Arizona desert it’s crucial for us to keep in mind monsoon system, as cool roofs can be prone to mold and algae growth although there are plenty of ways to prevent this issue that your roofing company will be able to inform you of. Some of these options include moisture-resistant coatings or chemicals that can be applied to the new roof installation. Energy efficient roofs take on less hassle and worry as they are not as susceptible to mold and algae growth. Regardless of what option best fits your home or building, talking to you Arizona roofing company should be number one on your list of things to do. Considering all factors such as building or home size, location and climate all matter when choosing which roof style is going to be best for you.